It was a spontaneous decision for us to go for a trip in Europe. We did all our plannings in just two weeks ahead! From booking flight tickets, accommodation, transportation, places to go and etc. It is really an adventure for us as a first timer to visit Europe countries, but anyhow we made it and it was fun and memorable. We traveled Germany(Frankfurt & Cologne), Netherlands, Belgium and France (Paris) in two weeks. This spontaneous thought appeared when my husband tendered his resignation and had three weeks holiday before he start his new job. Secondly, we have friends visiting to Europe at that time which suddenly gave us the idea to go for it. And of course, cheaper flight tickets gave us a reason to go too. Now, here comes the “problem”. 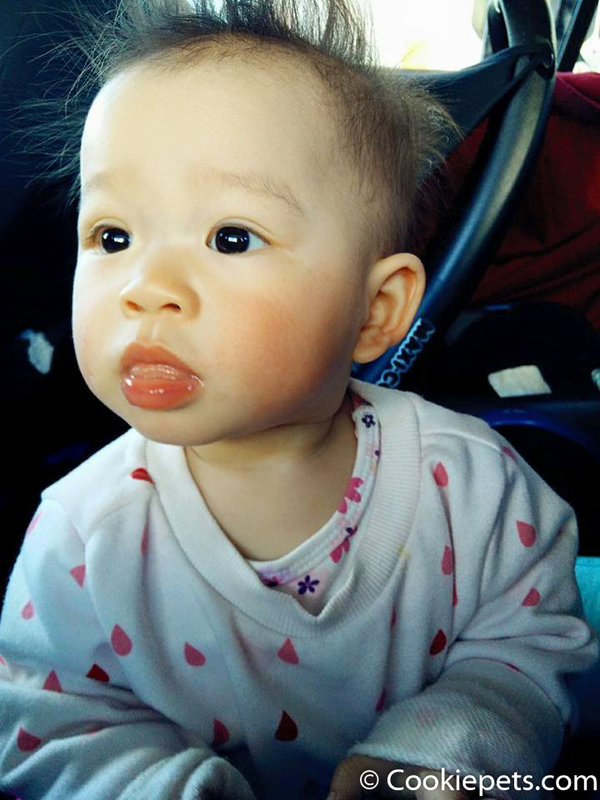 If you don’t have a baby, a spontaneous plan is totally fine, but with a baby and we decided to bring along to the trip, there is a “problem”. Our parents start to grumble, we were also worried about whether the weather are suitable, baby health are ok and etc. We start to list out our concerns, and do all precautions and preparation as much as we can. 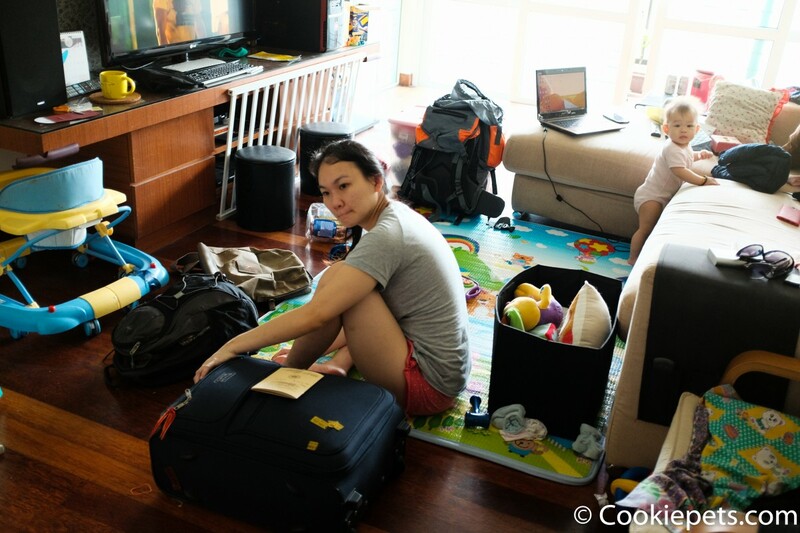 Oh gosh, this is how we look like when packing up. Make sure all vaccination needed are taken, prepare necessary medicines for any illness, and ask for doctor advice. Prepare necessary items suitable for the weather. We were lucky to have friends travelling in the countries we will be visiting, as they informed us about the weather there. 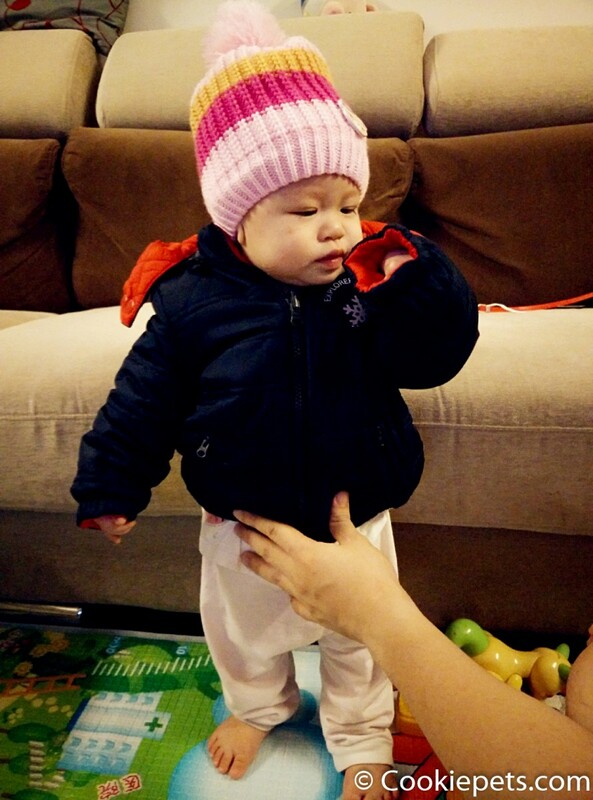 It was hard to find a suitable wind breaker for my 10 months old baby Chestnut in Petaling Jaya. We searched Uniqlo, Winter Time, Universal Travelers and etc, but still can’t find any suitable size for my baby. In the end, we found a wind breaker in one of the baby stores in The Curve, Damansara with discount price too. Phew! 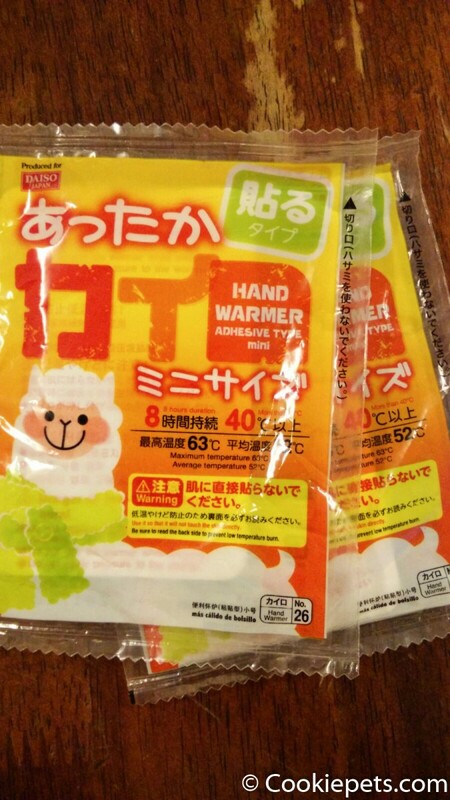 We also bought some heat sand pack from Daiso, which was cheap and easy. When you want to use it, you just remove the plastic cover and stick the sand pack to your body or cloths, it will keep you warm. We bought a few jars of Heinz baby food, baby cereal and her favorite biscuits to keep her calm in case she gets agitated on the plane. I do recommend to bring baby food enough for at least 2-3 days. This is due to some of the European countries such as Netherlands and Germany do not have convenient shop that open 24 hours all day. The markets and restaurants close around 6pm and Sunday is off day. Sometimes when we reach the town, all the market were closed. So to avoid your baby being starved, it’s better prepare your own food earlier. This is an argument between me and my husband, whether we should bring enough baby diapers for the whole trip (since we just go for two weeks), or just bring some so we can buy the rest from there later. Anyway, we did bring enough diapers for the whole trip, because our luggage still have plenty space to fill in. 5. Baby’s favourite toys, books or videos. I believe one of the scariest moment when travelling with babies will be long hours flight. Luckily Chestnut did not give me too much of trouble. We downloaded some of her favourite videos from YouTube such as Baby Einstein and Little Baby Bum’s music videos into our mobile phone, just to keep her busy. 6. Lighter- weight stroller and baby carrier. Don’t be too confident that you do not need a stroller and you can carry your baby all the time. Believe me, you will be exhausted if you do so. 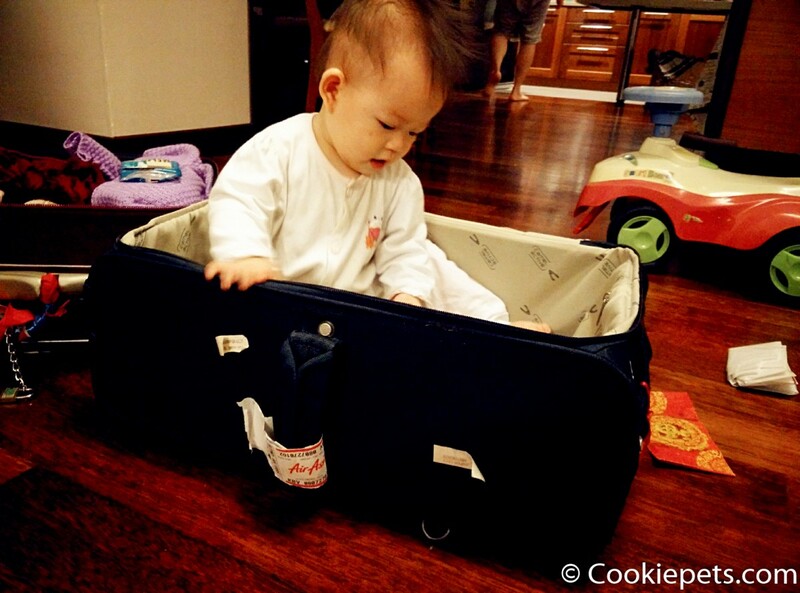 It is important to choose a suitable stroller for travelling. We wanted a lightweight and foldable stroller. 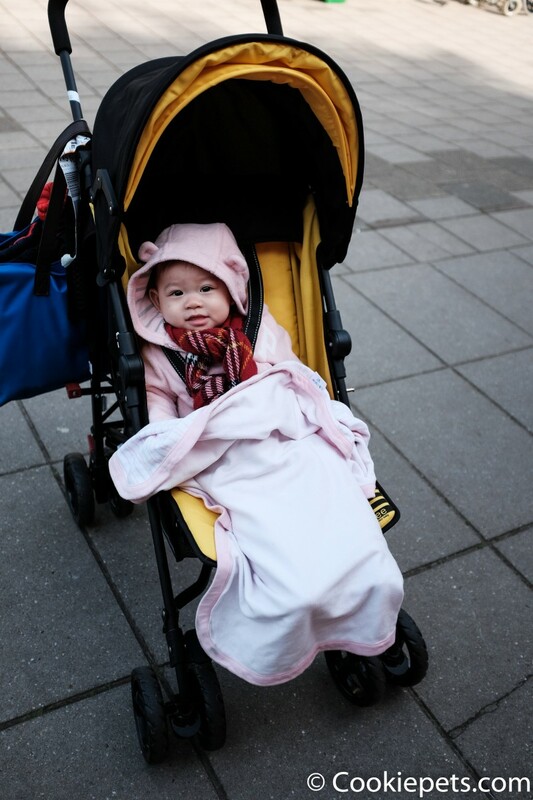 Initially I was planning to borrow my sister’s lightweight umbrella stroller, which is foldable and very light. But the problem is there are no reclining seat position, which will be too tired for the baby not being able to lie down to sleep. Finally we bought Vee Bee Lio at a reasonable price, it is not perfect but useful enough for us. 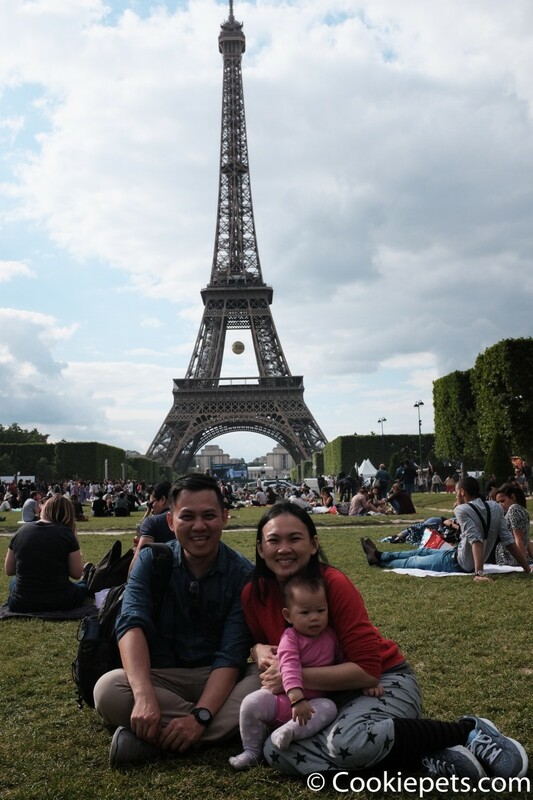 We were able to get a cheap deal through Air France with only RM5980 for the three of us to and flow, arrival at Frankfurt, Germany and last day depart from Paris, France. Both flight need transit but it was still ok as it was just less than one hour flight only. My friend even got a cheaper deal through MAS airline direct flight, therefore it is necessary to check the flight tickets one by one if you wish to get a good deal. You can book an extra seat for your baby if you have extra budget. Earlier we heard we can pre-book our seat near to the baby bed on plane but we failed to get it, that’s why baby chestnut sit on my lap for the whole journey. But during the flight, you can request the attendances to arrange an empty roll for you if you see the seats are not fully occupied, they are very willing to help. I was recommended by my friend to book everything online, as it will be cheaper to do so in European countries. Since we brought a baby, we decided to rent a car. It turns out that renting a car is cheaper than taking public transport. 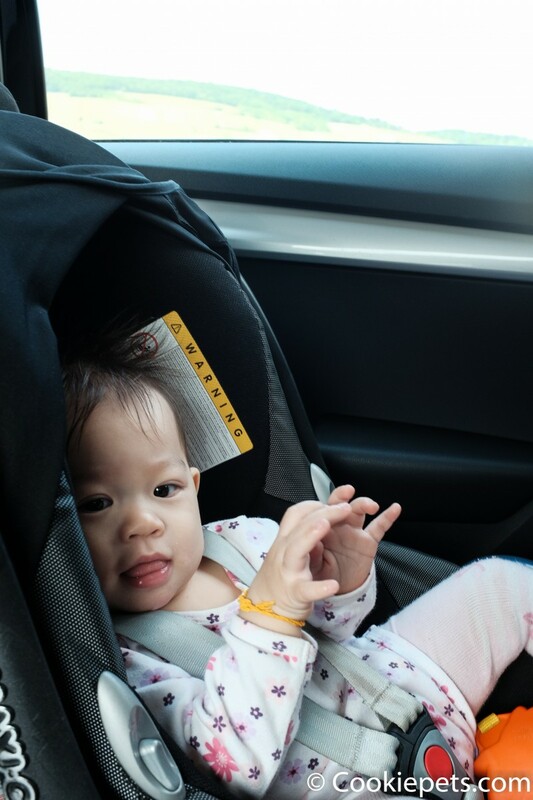 With a car, it is easier to carry things and baby can sleep in the car seat too. There are a few car rental company available online. After survey, we found this website Auto Europe that gave us the best deal. We personally pick up the car at one of their office in Frankfurt, it is not hard to locate their office with the help of the google map. This save us $30, as it will charge you $30 if you pick up the car in airport. 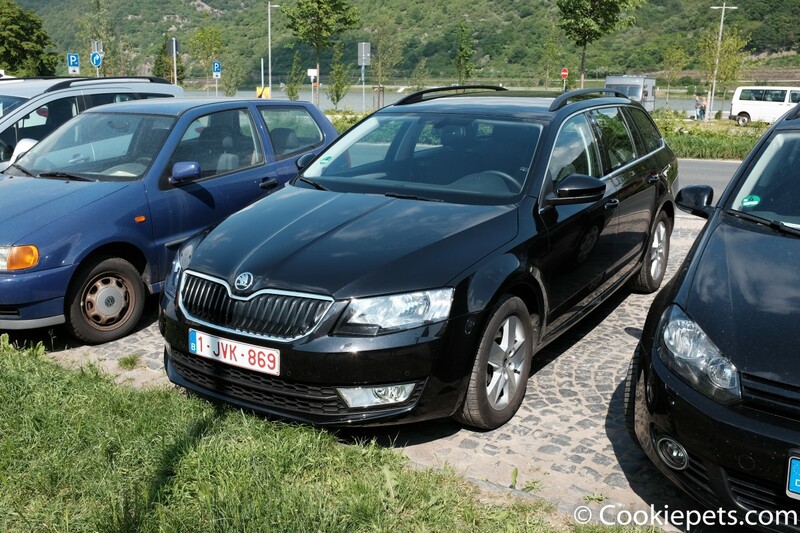 We booked for a Opel Astra but was upgraded to a bigger car – Skoda Octavia instead. Petrol – Petrol price varies in different country, where it is most expensive in Netherlands. Price per liter was €1.60 in Netherlands, €1.45 in Belgium, and around €1.30 per liter in Germany. We spent around €135 for petrol for the whole 7 days journey and traveled more than 1500km from Germany – Netherlands – Belgium. From Brussel to Paris, we took public transport as Paris is a big city with little car parks. But due to peak season (France public holiday) and last minute booking, all the cheaper EuroStar tickets were sold out. We were left with no choice and bought the Thalyss train tickets, which was faster by 3x but at super high cost. Total spent €150 for just one trip. 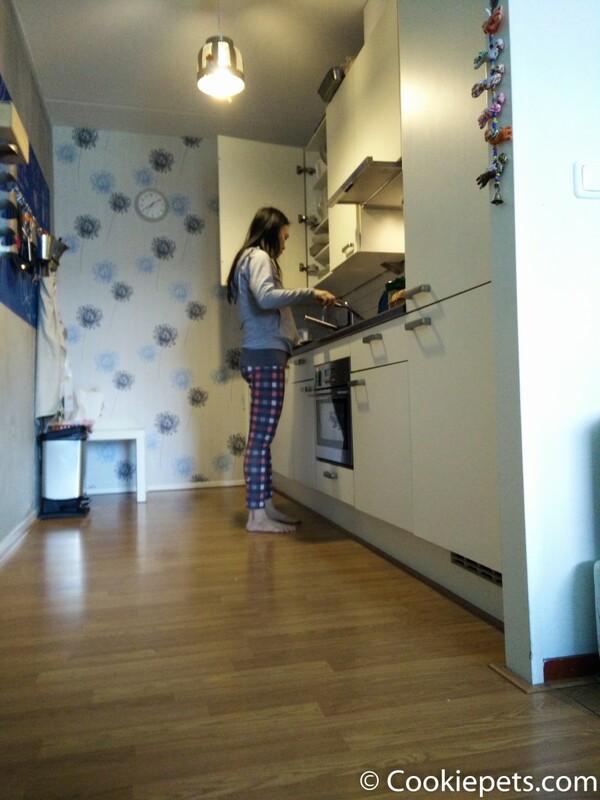 We wish to stay in local house to experience the local life rather than staying in hotel, on the other hand we also wish to have kitchen during our stay so we can cook food for my Chestnut too. 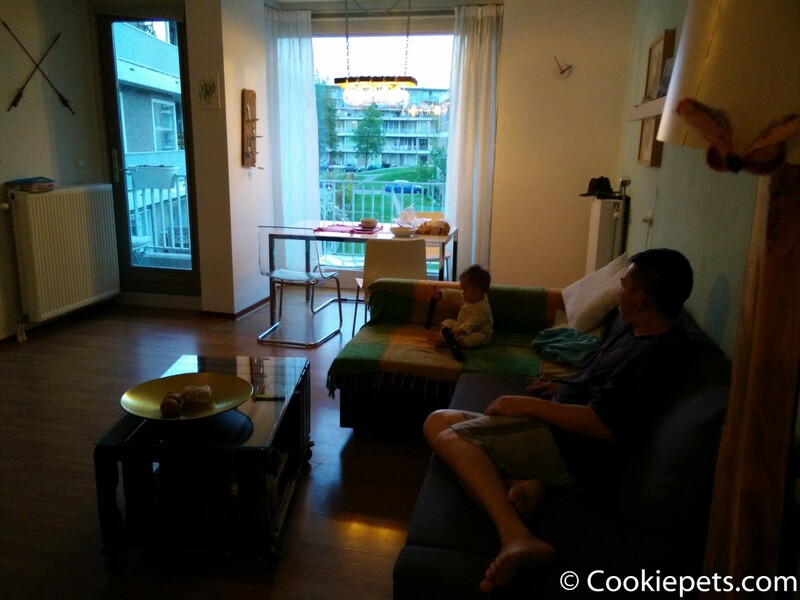 Therefore we looked for apartment or rooms in Airbnb that allowed baby. It was not easy as most accommodations are not baby friendly, therefore it is important to communicate with the owner before you plan to book the place. Since we rented a car, we can choose to stay a bit far away from town. Remember to ask the owner whether any free parking available so you don’t have to pay extra for parking tickets. Too many beautiful things and moment need to be captured. First time Chestnut wear a thick coat, first time Chestnut has cold blush, first time we saw beautiful colourful tulips, chestnut met new friends, first time we climbed up Eiffel tower and much more. Many people said that it is a waste of time, money and energy to bring your 10 months old baby to travel because they won’t remember about it in future. In my opinion, baby aged 0-3 years old has the highest brain development or learning ability in our life which everything experienced, see, feel, touch or even taste also can trigger their development. Therefore change of new environment and living lifestyle definitely benefits them. The world is a big classroom, travel is the best education. I am glad that we brought Chestnut to Europe with us, who cares whether she remember that particular memory. What matters most is what she had experienced, just let the parents keep that memories for her. We have a stronger bond and trust to each other after this trip. It will be a loss, if Chestnut was not part of my Europe trip. 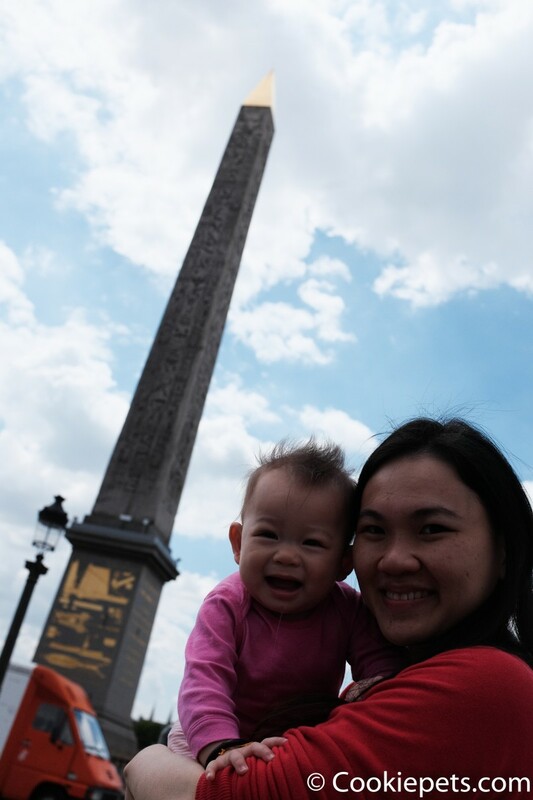 Thanks for sharing so much tips on traveling with little one in Europe. Very interesting and useful got me. 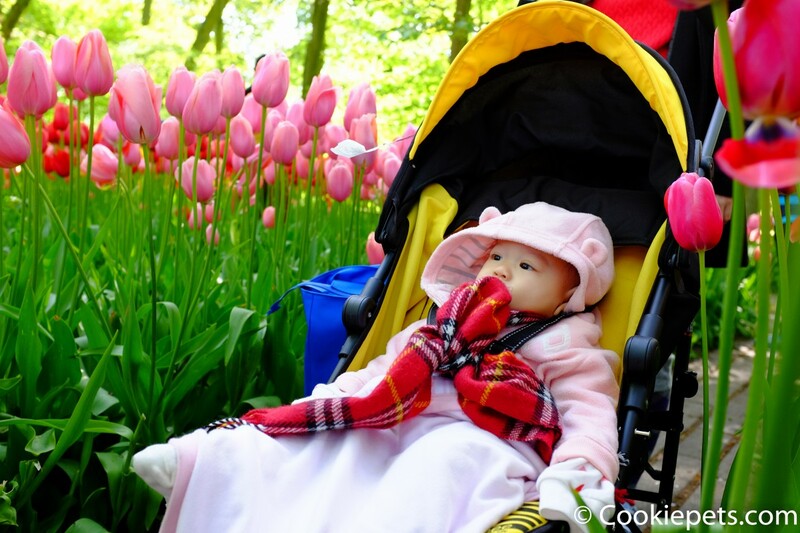 I really like the picture where chestnuts in the pram with beautiful tulips as background. I totally agree that our memories with our baby or toddler are precious.